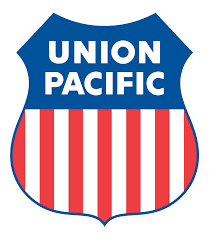 A few days ago Union Pacific (UNP) declared a $0.88/share quarterly dividend, which is a 10% increase from its prior quarterly dividend of $0.80. Since I own 15 share of UNP this raise adds about € 4 to my forward annual dividend income. This is a really solid dividend increase in my book! I purchased my shares about 4 years ago for $108 a piece. Currently they are worth around $162, so that's roughly an 11% annual rate of return, based just on the price appreciation alone. In the past years I've received about 10% of my original purchase price in dividends. The dividend has grown from $0,55 per share (quarterly) to its current level of $0,88 per share. That's an awesome growth rate of 13% each year. At this pace the dividend is expected to double in value about every six years! I am really content to have added this company to my portfolio a few years ago. What do you think the dividend raise by UNP? Do you consider adding shares to your portfolio at its current price? Loved seeing that increase from UNP. I hope to get them into my portfolio soon if the valuation makes sense.